Viruses such as Zika and West Nile Virus are caused by bites from infected mosquitoes. 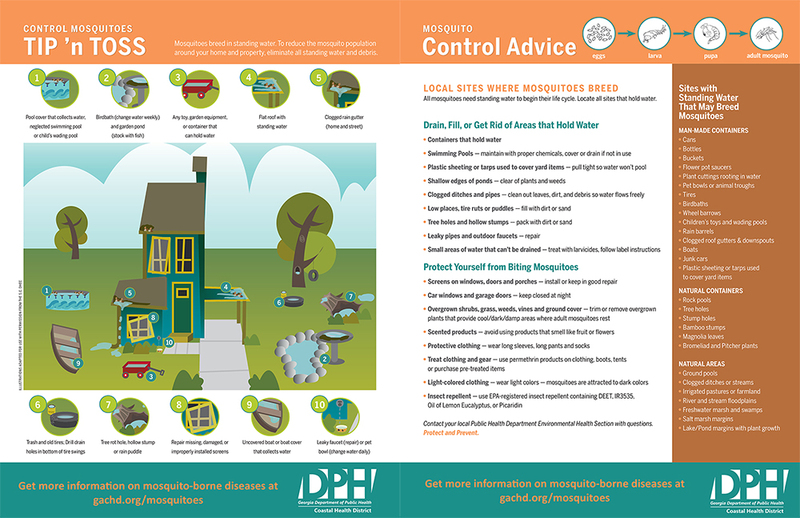 The best way to prevent mosquito-borne viruses is to prevent mosquitoes from breeding and protect ourselves from mosquito bites. One of the most effective ways of preventing mosquito breeding and thus the spread of mosquito-borne viruses is controlling the mosquito population by getting rid of standing water around the home and in the yard. Residents are urged to clean up around their homes, yards, and communities and get rid of unnecessary items that can hold water and turn into mosquito breeding grounds. Many species of mosquito overwinter as eggs or larvae. A few species overwinter as adults. They enter what is known as diapause (similar to hibernation). Adults will find shelter for the winter such as buildings, culverts, tree roots, and foliage. With changing temperatures throughout winter in the South, warm days can spur some adults into activity. Culiseta inornata is known to be active at cooler temperatures and is sometimes known as the winter or snow mosquito. You can find yourself being bitten in your home, car, or garden, even on cold days. Hunters in forests can be attacked by mosquitoes resting in the foliage. There are specific species that like to feed on birds, and spend most of their time in the trees. They may bite a mammal if one is nearby. These species usually include Culiseta and Culex species and are what keep the EEE and WNV circulating. When hunters head up in the stands, they bring themselves into closer proximity to overwintering mosquitoes. They are attracted by scent and carbon dioxide. Their normal active times may be altered during colder months. Wear protective clothing, and repellant at all times when outdoors. Keeping your home screened in the warmer months will keep mosquitoes from entering your home and using it as a cold weather shelter. West Nile Virus is usually spread by the bite of an infected mosquito and can cause mild to severe illness. About 80 percent of people infected with WNV will not show any symptoms at all; however, cases can range from mild to severe. The best way to avoid WNV is to prevent mosquito bites. Mosquitoes that carry the West Nile Virus are more likely to bite during the evening, night, and early morning. 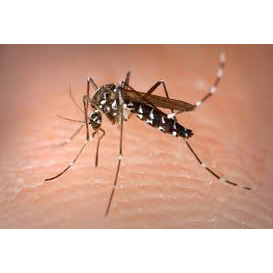 EEE is a mosquito-borne virus that causes swelling of the brain. In horses, it is fatal 70 to 90 percent of the time. Horse and large animal owners are encouraged to vaccinate their animals against the virus and to clean out watering sources, such as buckets and troughs, every three-to-four days to prevent mosquitoes from breeding there. EEE is rare in humans; however, humans are susceptible to the virus. According to the Centers for Disease Control and Prevention, most people infected with EEE do not show illness. Symptoms in severe cases of EEE include a sudden onset of headache, high fever, chills, and vomiting. The primary mosquito that transmits EEE breeds in freshwater swamps. Chikungunya is a virus transmitted by mosquitoes. Mosquitoes become infected when they feed on a person already infected with the virus. Infected mosquitoes can then spread the virus to other people through bites. It is not spread through human contact.